Texas USA / ACCESSWIRE / July 24, 2014 / Some people enjoy working with wood, but when they attempt to find project plans, they don't find what they want or th ons they find are too difficult, require too many expensive supplies or take too long to finish discouraging the budding woodworker and frustrating their passion. 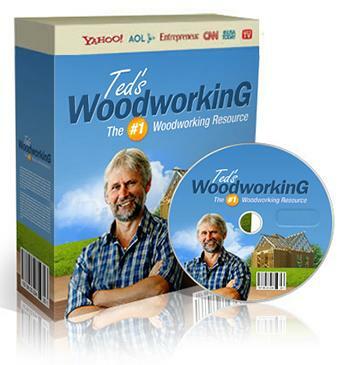 Thanks to a guy named Ted, those seeking easy plans with affordable parts and little time to completion have found just what they were looking for in Tedswoodworking.com. With no monthly payments or hidden fees, Tedswoodworking.com offers inexperienced woodworkers instant access to 16,000 plans at $67 for just a limited time and with a 60 day money back guarantee. Plans that are high resolution quality, printable and include CAD software, DWG software and 150 step-by-step videos. There's also a guide showing directly how to set up a woodworking business and woodworking guides. Projects come in a variety of skill levels from beginner to advanced. Most find they are able to get projects finished right away with minimal expense and effort. And nothing beats the satisfaction of working with one's hands. Projects include simple things such as toys or grow to intermediate projects such as wood benches and even more complex projects such as wooden sheds. And the cost is one time, offering a life-time membership with no further fees - EVER! All for the limited price of $67.